The advent of additive manufacturing, also known as 3D printing, has opened the door for rethinking supply chain management and process improvement within the footwear industry. Adidas, one of the largest footwear companies in the world, has emerged at the forefront of innovation with the Futurecraft 4D, the first mass marketed shoe to incorporate 3D printing. The shoe has a 3D printed midsole, while the remainder of the shoe was created through traditional manufacturing processes. 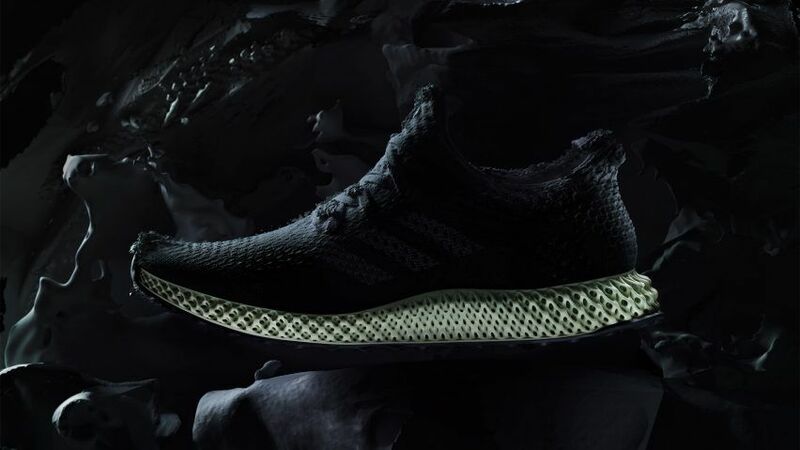 Through its partnership with Carbon, a 3D manufacturer, Adidas launched its initial Futurecraft 4D line in 2017, manufacturing and selling 5,000 pairs. The company’s goal is to increase production and sell 100,000 pairs in 2018. However, the technology and scale required for such benefits are far away, as additive manufacturing is still a relatively nascent technology. To be successful, Adidas must overcome certain hurdles. In the near term, the company needs to figure out how to limit the costs of production. Additive manufacturing processes are much more expensive than traditional manufacturing processes and has been typically used for prototyping, not mass production. 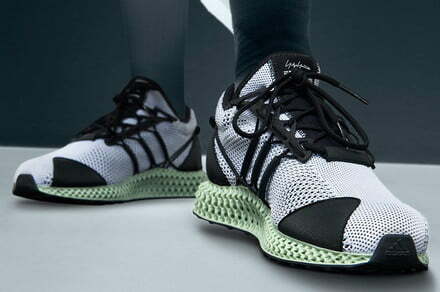 As a result, Adidas’ first line of Futurecraft 4D were priced highly at $333 per pair; even at this price, the first run was disclosed to have been unprofitable . However, while additive manufacturing is expensive, increased production could make more economic sense in a scaled supply chain . Ramping up production to 100,000 pairs would increase utilization of the 3D printing machines and reduce the costs per unit of output. Machinery required for additive manufacturing can be costly and would benefit from scale. Longer term, Adidas will need to think about shaping its business model. This includes the possibility of offering wholly customizable shoes. Creating this market will begin reducing inventory levels down to zero as the demand for stocked items declines. On average, footwear holding costs can account for over 20% of inventory value, so the shift to customized solutions would also help offset the increase in costs from using 3D printing manufacturing. On the other side, additive manufacturing can eventually help create shoe blueprints that can be stored digitally on servers for pennies . The ability to store designs allows for an endless combination of specifications and for Adidas to optimize the structure of the shoe for different body types and uses . Adidas has already started looking into other shoe parts that 3D printing can be incorporated into and has expanded its usage into other shoe lines, such as its Y-3 line of high-end sneakers . Adidas has continued to find additional ways to incorporate 3D printing in its other product lines. I believe there are several additional actions that Adidas can implement to address some of these concerns. First, Adidas can look to acquire an additive manufacturer such as Carbon and vertically integrate operations. 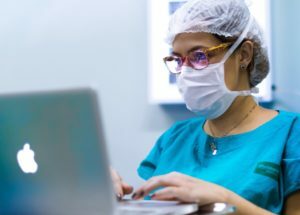 As demand for 3D printing increases, consolidating the supply chain will streamline the process and make operations more cost effective and quicker . An acquisition of Carbon could prove to be a synergistic addition for Adidas, who participated in Carbon’s $200 million Series D fundraise in December 2017 through its venture capital arm, Hydra Ventures . Second, the company can centralize its additive manufacturing operations into fewer facilities and invest in specializing employees to operate the sophisticated machinery required. The company can then benefit from labor economies of scale—having one specialized worker in charge of operating ten machines would be cheaper than ten less experienced workers producing the same product at ten different facilities . Lastly, Adidas must find ways to minimize its post-processing costs, which can account for up to 70% of manufacturing costs. Post-processing steps include separating the printed product from its support structures and finishing the product with solvents and conventional machining—processes that altogether can take ten or more steps . Specializing employees can also help with making this process more efficient. What is the most effective way to transition the traditional footwear model towards a stockless, made-to-order model? What are the merits and considerations of having multiple additive manufacturing facilities throughout the U.S. to minimize customer lead times versus consolidating operations to minimize costs? Did Adidas benefit from being a first mover in the industry, or will competitors such as Nike and Under Armour, who have both begun to invest in additive manufacturing practices, reap the benefits by analyzing Adidas’ setbacks? Wilson, M. (2018). How Adidas Cracked The Code Of 3D-Printed Shoes. [online] Fast Company. Available at: https://www.fastcompany.com/90138066/how-adidas-cracked-the-code-of-3-d-printed-shoes. Brown, A. (2018). CHAIN REACTION. WHY ADDITIVE MANUFACTURING IS ABOUT TO TRANSFORM THE SUPPLY CHAIN. Mechanical Engineering, 140(10), pp.30-35. Dillet, R. (2018). How Adidas and Carbon are changing the sneaker supply chain. [online] TechCrunch. Available at: https://techcrunch.com/2018/09/07/how-adidas-and-carbon-are-changing-the-sneaker-supply-chain/. Digital Trends. (2018). Adidas Upgrades its Y-3 Sneakers with 3D-Printed Midsole | Digital Trends. [online] Available at: https://www.digitaltrends.com/health-fitness/y-3-3d-printed-sole/. Kerns, J. (2018). What’s Next for 3D PRINTING? The disruptive technology continues to grow thanks to lower costs and greater accessibility. Machine Design, 90(1), pp.36-42. Carbon. (2018). 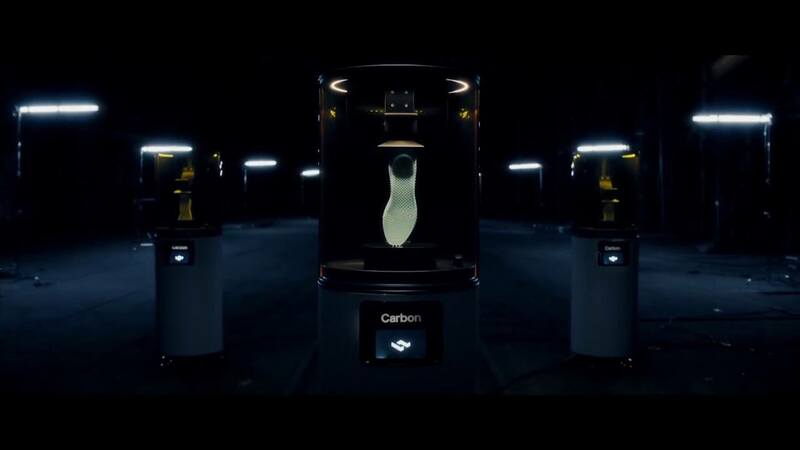 Carbon Announces $200 Million in Funding to Accelerate A New World of Global Digital 3D Manufacturing – Carbon. [online] Available at: https://www.carbon3d.com/news/carbon-announces-200-million-funding-accelerate-new-world-global-digital-3d-manufacturing/. Roca, J., Vaishnav, P., Mendonça, J. and Morgan, M. (2017). Getting Past the Hype About 3-D Printing. MIT Sloan Management Review, 58(3), pp.57-62. I agree that vertically integrating with a manufacturer would likely help on costs for Adidas and wonder if robotics could be applied to the post-processing steps. Although Under Armour and Nike are also experimenting, I suspect Adidas is at least further down the learning curve and that their close partnership with Carbon has helped in that regard. One question I’m left asking myself is related to the product. You list several operational benefits Adidas would enjoy at scale due to additive manufacturing (i.e., reduced labor costs, lower inventory costs, lower lead times). However, if the product is not superior at the same cost, of similar quality at a lower cost, or much better at a higher cost, the shoes won’t sell. Beyond customization, which Nike seeks to achieve from a design perspective with Nike ID, are there product/design benefits of additive manufacturing? Though there are several examples of high-profile tech companies taking advantage of being the second mover – Apple and Uber come to mind right away – I believe Adidas will benefit from being a first mover here. 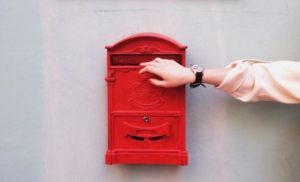 Being a second mover benefits companies whose target markets are nascent or not clearly defined, or else are introducing a technology that customers are not yet familiar with. Neither of these circumstances exist here. Additive manufacturing does not change the product for the customer in any discernible way (except for the potential benefits of lower price in the long-term and better custom options). As a result, I believe Adidas will be well-served being the first mover. I thought your question of what is the most effective way to transition the traditional footwear model towards a stockless, made-to-order model is the crux of the problem.. a bit of chicken or the egg. I was curious where the best place to begin selling might be and thought of running stores that already offer services to chose the best shoe given your running style, foot build, etc. I believe Brooks running shoes is entering the same market and “is aiming to offer this service for the price of a Brooks Levitate, which is $150.” What do you think is driving the large price differential between their 3D shoe and Adidas? What makes the Adidas shoe superior? Why would I buy it? Considering the current scale of the production, it does not seem to offer any cost-saving opportunities. Unless cost-savings in production can be achieved, there’s only one way to make a profit: Increase price! The increased price, however, requires a great value proposition for the consumer, and that’s where I am currently struggling a bit – I am not clear how the 3D printed shoe is better or superior than its traditionally manufactured counterparts. Considering this a major new product line for Adidas, they should think through the market entry strategy. To AW’s comment – I agree that being the first mover can be an advantage, however, for that to be successful a good value add for the consumer needs to be created/ a strong painpoint needs to be address i.e. in case of UBER transportation. A thought-provoking article that explores the many benefits of 3D printing for a retailers such as Adidas. ‘Did Adidas benefit from being a first mover in the industry?’, I would argue not – I believe both Adidas and Nike are neck-and-neck in the race to win the 3D printed footwear market. Whilst Adidas may have taken on the in-sole, Nike is leaping ahead in its innovations for the ‘upper’ footwear (textiles). Earlier this year, Nike announced the first 3D printed upper with the ‘Nike Flywheel’. Additive Manufacturing technology is fast becoming widespread and as such, the novelty of being ‘first to market’ adds little in the way of competitive advantage to the likes of Adidas or Nike. Success will be determined by who can bring down the costs for consumers most quickly. Thoroughly enjoyed reading this; the visuals really make it come to life! Your question around consolidating operations vs maintaining multiple additive manufacturing operations is an interesting one! While it may reduce costs to consolidate operations, I would recommend Adidas maintain multiple operations and focus on the customizable aspect of 3D printing. I think Adidas can create demand by allowing customers to design their own shoes (with limitations, based on a few standard customizable features to enhance performance, fit, look) in a unique way using 3D printing. Since Adidas is allowing customers to customize their own shoes, they will be able to function by producing only after the shoe has been ordered and, with multiple locations, will be able to quickly deliver the shoes to the customer. In this way, they will be able to provide a premium product that a customer will be willing to pay more for and they can raise prices. Additionally, as seen in our recent Nike case, athlete endorsements are highly valuable in this industry and Adidas will be able to maintain a high price tag if they are able to sponsor/gain the endorsement of a high-profile athlete who supports the merits of a 3D printed shoe. Awesome topic, thank you for posting! Your question about Adidas’ potential competitive advantage from being the first mover has me very conflicted. On the one hand, the end product remains substantially similar to what is currently on the market, but at a much higher price. You very clearly lay out how the unit cost could and should come down over time, but currently at $333 a pair, Adidas still sells these shoes at a loss. This to me indicates there will be a huge time lag to profitability and scale for Adidas in which Nike, Under Armour and the whole gang of show manufacturers can wait and see how this plays out while still offering shoes of the same quality as Adidas. During this period, Adidas’ competitors can also begin relationships with 3D manufacturers, similar to the relationship between Carbon and Adidas. On the other hand, the idea of offering fully customizable shoes could be a game changer in the athletic shoe industry in my mind. I understand that Adidas has only used 3D manufacturing for one part of the Futurecraft 4D (the midsole), but if the entire shoe can be customized to an individual’s foot, Adidas would have a huge leg up on its competition. In an industry with so many dollars already being spent for endorsements and partnerships with athletes and influencers, I wonder if the footwear industry has the capital needed to invest in such a revolutionary new manufacturing method. If capital is tight, would Adidas be willing to sponsor less people and shift funds toward 3D printing applications? I am very excited to see how this will play out! Thanks for sharing – shoe manufacturing on the surface seemed like a home-run application for 3D printing, and I did not fully appreciate some of the operational challenges that you astutely point out in your essay (cost for mass production being the most critical). While Adidas likely has a first-mover and knowledge advantage given its investment in Carbon, I agree with some of the comments above that I’m not sure I see the mass benefit long-term. The ability to offer a higher level of customization and the potential for a no-inventory made-to-order model is attractive, I don’t view these issues as a major pain point for consumers and I think price and lead times will be a major barrier to adoption until Adidas is able to find some of the labor and cost efficiencies you mention in your article. Ultimately, while look is important, performance and comfort come first in many of the categories Adidas plays in, and it’s not clear there is a path to mass-producing products that are cost competitive with existing models. In my opinion, the only way 3D printing becomes a competitive advantage for Adidas is if they are able to truly disrupt the market with product innovation to the point where they are effectively creating a new category rather than improving an existing one. Interesting application and one that I think makes a lot of sense given the potential cost savings down the road with added scale and improved printing technology. One thing that I would want to really think about if I were Adidas is whether I want to pursue this as strictly an internal cost savings strategy or additionally as a way to provide consumers increased customization. While customization seems like a positive on the surface I think it gives Adidas less control over its own brand. In a market where design is so important I think I would want to retain control over how my products look and feel. I believe the move toward a stockless, made-to-order model could be quite risky, especially for fashion goods like Adidas shoes because some customers rely on the company to design and come up with appealing products. In addition, allowing full customization may dilute brand value since consumers may not be able to distinguish Adidas shoes from other shoes. Adidas may choose to allow extensive customization of shapes to fit different customers better but limited customization of shoe design in order to maintain the brand image and allow consumers to identify Adidas shoes among other shoes. To answer your second question, I feel that Adidas has benefited from being a first mover in the 3D printed sneaker market. Adidas’ Futurecraft line has garnered serious media attention from athletes, influencers, and general sneaker enthusiasts. These decision makers are not only drawn to the eye catching design of the product, they are also buying in to the production story — Speedfactories printing sneakers through a partnership with a Silicon Valley start-up that utilizes digital light synthesis technology. I believe the Company needs to continue to invest in their partnership with Carbon, and push their Speedfactory project forward. This will allow Adidas to remain on the knife-edge of innovation, and remain top of mind for existing and future customers. Thanks for such a thought-provoking article! I definitely agree that bringing expertise in-house is a great idea, especially as additive manufacturing is a great ‘fit’ for this industry. I believe that by doing so, Adidas will continue to press its first mover advantage and be able to capture the market who are willing to pay at that price point for a shoe. To continue this trend, I believe Adidas should develop enhance the customers’ experience with this technology by introducing in-store custom fitting. This would allow customers to really fit their feet to the shoe! On cost savings, I believe automating as much of the process will drive costs down. Designing systems to reduce post-processing steps should be first priority. I would not focus on reducing lead times as I’m not convinced that lead times would be a differentiator to a customers purchase decision given how customized this product is. To respond to a couple of the previous comments (@Marybeth and Marius) around the advantages of 3D manufacturing (i.e. what justifies the investment/higher production cost), I would not underestimate the ability to price at a higher price point given the higher levels of customization. Being able to have your name on your shoes like NBA or soccer players do is something that people have a willingness to pay for (currently this service for soccer cleats is typically in the $60-100 range). Additionally, there should be few limits to how creative people can get around customization in color and form. This is potentially an area of overlap with open innovation, as you could have a decentralized development of 3D manufacturing designs that customers can chose from. This is potentially an absolutely massive market and seems like an excellent value proposition relative to existing options. One day, we may actually be purchasing shoes as IP (kind of like TV shows on demand) and just printing them on our home 3D printers – imagine that! As mentioned in your article, one of the benefits of additive manufacturing is a greater ability to customize products given shorter set-up times. I think this capability is particularly relevant to the footwear industry, as each individual’s feet are shaped differently. I could envision the possibility of Adidas creating shoes through additive manufacturing that are specifically shaped to your foot. Perhaps the company can start by only focusing on individualized insoles created through additive manufacturing. With such an individualized product, customers would be willing to wait longer for their products. As a result, you could concentrate your production in one facility and then ship your product to the customer. This is a really great article to elaborate how a player in the competitive sportwear market should utilize new technology, additive manufacturing in order to stay ahead of competition. Answering the first question raised here, I would say that it’s better for Adidas to utilize 3D printing in the shops as a way of promoting its technology to customers while they keep relatively cheap mass production for medium term. I’d wait until its 3D printing technology reaches the level that it can scale up additive manufacturing. In my knowledge, it is still costly to use additive manufacturing as a sole production method given its high investment cost in 3D printers – also, the technology exponentially improves given its early stage, so Adidas may need to renew its 3D printers soon again for better performance if it makes huge investments now. Thank you for this post. It is very interesting to see how additive manufacturing is impacting the sneaker industry. I was amazed to learn how high a percentage of inventory value is made up of footwear holding costs. If Adidas and other shoe companies are able to develop an effective additive manufacturing-focused production process, improved inventory management may end up being one of the most substantial results. One thing that intrigued me regarding the Futurecraft 4D example referenced was the fact that only the midsole was produced using 3D printing. Would it be possible to produce the rest of the shoe using exclusively 3D printing techniques? If not, what percentage of the shoe can be completed in this fashion using Carbon’s technology? For the partnership with Carbon, I completely agree that if Adidas is to fully integrate 3D printing into its production process, an acquisition (at a reasonable price) is the correct strategic move. As far as the first-mover advantage goes, in an industry as competitive as this one, I hesitate to believe that any effective upgrades to Adidas’ production model will not be quickly adopted by Nike, Under Armour and others.